Through developing sonar-based gesture control solutions, Maxus Tech integrates gesture-sensing tech into home hardware and smart devices, giving literally anything a smart surface. Their latest product, known as “new home”, is a image-display digital sensing frame. The home accessory, which one can hang up on a wall, can display different images through a swiping gesture from left to right. To see more information of the images, a user simply has to repeat the swiping motion in an up and down direction. Images can be viewed from various angles as well. Helmed by Maxus Tech themselves, the product is still under development and will be released to the market shortly. Their straight-forward gesture solution requires no complicated calibration or understanding of the software, enabling users to enjoy a highly rewarding visual experience just with a simple swipe. While facing other competitors like Mural and KiloArt, Maxus Tech is confident that their digital art frame will succeed. “We adopt the most natural mechanism in our product – gesture control – which enables users to engage in interact on a physical level,” said Ming-sheng Zheng, Interaction Engineer of Maxus Tech. “This is our strength. We have a more natural interaction than our competitors’ frames, which makes us very interesting and attention-grabbing,” he said. 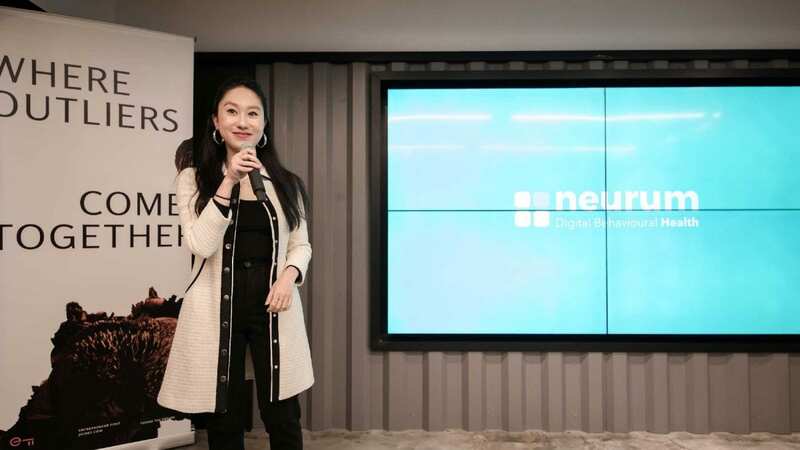 Zheng believes that Startup Launchpad has given them a fantastic opportunity to showcase their latest progress and products and reach out to potential customers, which will help their expansion of their latest interaction and gesture control system into the market.